The world governments need to stop glorifying terror outfits. For starters, irrespective of what those terror groups might call themselves, what if victim countries gave them shameful and cowardly names. That way, the citizens wouldn’t fear them the way they currently do. Wayward or lost youngsters would probably be averse to joining such groups if their names were funny or shameful, rather than rebellious-sounding. isis in CAPS. Why? And they called themselves a ‘state’, and we agreed? It’s almost like a self-fulfilling prophecy, right? What if they called themselves a country next? Should we mindlessly agree? Imagine if world bodies and governments called them ‘i-piss’ instead. Wouldn’t their terror motives lose a little momentum and hatred each time they heard themselves being referred to that way on news programs? Worth considering? Hisbull, Hercow. Nothing justifies the killing of innocents. And that applies to governments too. In the early 1980s, there was a plan to build India’s first fighter aircraft, under the Light Combat Aircraft (LCA) program. After innumerous technological and process roadblocks, and possibly governmental delays, the LCA, named Tejas (‘radiant’), was inducted into the Indian Air Force a few days ago. Being in love with fighter planes since I was a toddler, I couldn’t resist the urge to compare our indigenous baby with the best of the world. I am sharing some glaring shortcomings, in the hope that its next versions surpass the best in the world. Before I get to it, let me take another moment to drool at her in the picture above. Isn’t she just beautiful?! Ok, back to business, I’ll start with picking three of my favorite fighter planes in the world. 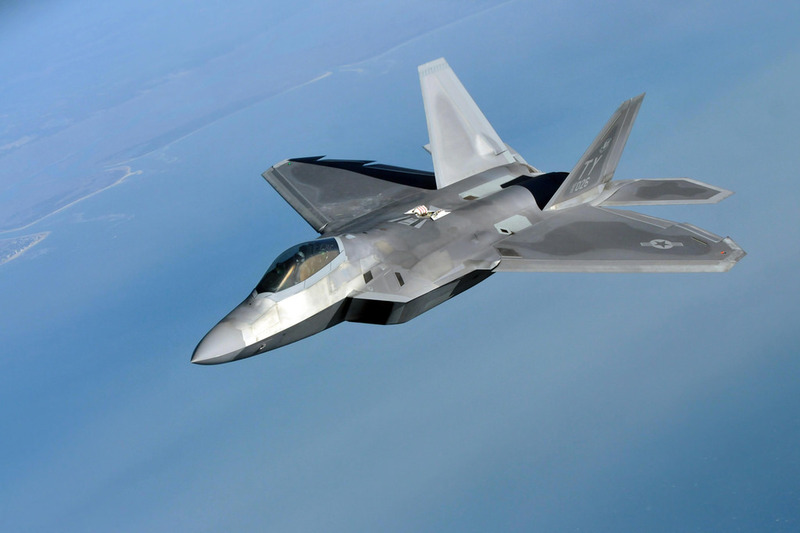 They are the USAF F-22 “Raptor“, the USAF F-35 “Lightning” and the SU-37 “Flanker” (or Flanker-F). While it isn’t a fair comparison, pitting the new kid on the block with veterans, that is just what I am going to do. Let’s see how the Tejas compares. Comparing specifications of the Tejas with those of the above three, the Raptor’s top speed is Mach 2.25, with a service ceiling of over 65,000 feet. The Lightning’s is a slow Mach 1.61 with a service ceiling of 50,000 feet. The Flanker’s is a whopping Mach 2.35 with a service ceiling a little over 59,000 feet. In comparison, our Tejas has a respectable top speed of Mach 1.8 with a service ceiling of 50,000 feet. The Raptor has a flying range of approximately 2,960 kms, the Lightning, 2,220 kms, the Flanker, a cool 3,300 kms. The Tejas has a 3,000 km range. Not bad for the new kid. The Raptor and the Lightning are stealth fighters. However, contrary to some misleading news articles in the last few days, which said the Tejas was a stealth fighter, it is not one. Specifications of the Tejas do boast of some stealth features such as its inherent small physical form, leading to a comparatively smaller radar signature, and radar-absorbent coatings and body composites and some design modifications which further reduce its radar impression. However, given that its weapons are external, and the fact that its body design isn’t at sharp angles to deflect radar, it would still make it easy to spot the jet, unless with primitive radar equipment. 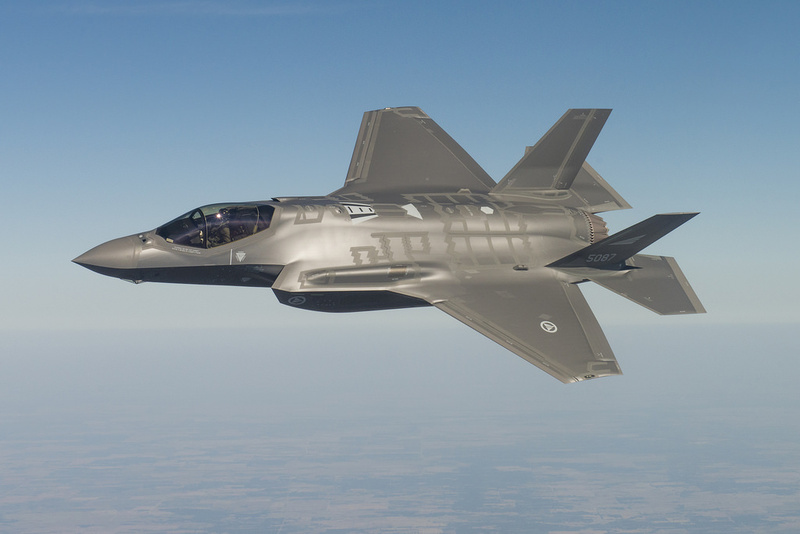 Recent, fifth-generation fighters, and even some earlier jets include features which allow for better angles of attack. For instance, the Raptor has thrust-vectoring nozzles, as well as horizontal stabilizers at the back, which allow for a 60° angle of attack. The Lightning, despite the seemingly maneuverable appearance, thrust vectoring nozzle and lift fan (see image below), has a 50° angle of attack. The Flanker, with thrust vectoring engines and beautifully designed frame, has a deadly 180° angle of attack. Your eyes might light up like mine always do at the mention of the ‘Cobra maneuver’. This post, wouldn’t be complete without a video of Pugachev’s Cobra maneuver. Even with the canard delta wing and possibly a thrust vectoring engine, the French Dassault Rafale too only has a 29° angle of attack. The Tejas however, lacks any of the above features, but still is capable of a 28° angle of attack. From an improvement point of view, I would say that Hindustan Aeronautics and the Aeronautical Development Agency still have some way to go in terms of getting the next versions of the Tejas at par with the best in the world. So while the toughest hurdle (of actually getting the first one service ready) is now behind us, it’s only a matter of time before the world will be dropping at the specifications of India’s own fighter planes. After all, look what we achieved with our space program, in the shortest time span and in the most economical way. But that said, the global investment into defense research and readiness is as astronomically high as it is stupid. The collective budget is sufficient to eradicate all the world’s problems, from that of sustainable energy, medical research, poverty and global warming; many times over. But till we become smart enough to spend that money to benefit mankind instead of wasting it on defense expenditure, let’s hope no country ever needs to use its fighter fleet. A friend of mine recently came across an article titled ‘The Indian who admires Adolf Hitler‘. While I do not admire Hitler, am sure his leadership and command have left many a man desiring for that kind of power. Here’s my view. Pardon the extremely layman language used. That’s the best my brain can handle. After the nomadic phases and through the “take by force” and “conquer” phases, we as a race have more or less settled into a more peaceful and harmonious way of living (with the exception of certain countries that continue to attack other countries and harbour terrorists, and barring the internal unrest in several countries as well). But more or less, the world has moved away from a high risk-high reward way of things (achieved by conquering countries or kingdoms, etc., where there was a high possibility of getting obliterated, but on the upside, there were great spoils in the event of a victory) to a life with average returns (produce, business, foreign trade, what have you) and reasonably predictable outcomes for the present and future. That being the case, many of us harbour inside us, a desire for those unreasonably high rewards (that were earlier achieved by conquest). In our humble day-to-day routines, that desire could be in any form; from resolving a tough problem at work, to getting a 2x profit or raise in salary. A more befitting example might be the underlying wish of many if not most, to get preferential treatment without having to pay for it. It is different to get 7-star treatment after having to pay for it by spending a fortune first, but to command that kind of respect, and high service just because you are “YOU”, that is something many people desire. And we know but a few men from the history of the world who commanded / demanded that kind of respect/ fear/ royal treatment. Hitler was one of them. And he was among the more prominent ones from that tiny elite group. So, while most of us would not even think of carrying the burden of the unspeakable cruelties he brought upon millions of people, the thought of that ultimate power, an army ready to go to any lengths at your slightest signal, and so on, I believe appeals to many. Hence, the admiration that some people have for him. But on the flip side of it, and I am sure many of us would have observed, that most of the greatest and noblest of deeds have been accomplished without the need or use of such power, force or oppression. Hence, the achievement of the ultimate power tends to become contrary to the type of people most of us are. So I guess it becomes just a fantasy with no further purpose or objective. It is something like, most of us envy jobs at NASA, or of becoming astronauts. I know I do. But wouldn’t a good percent of people back out, were they given a “wild card” entry to their dream job? Of the rest, many would probably quit during training, or on experiencing the rigors of a simulated space environment. Or, for a simpler instance, while most of us would drool on seeing an Aston Martin or a Rolls Royce, many of us would not know what to do or where to drive one, were we gifted or presented with one. Don’t worry about me, I’ll figure what to do with one. But I mean the fuel and brilliant mileage itself could leave you broke in a month. Anyway, never mind all that. Back to the point. Like the flight simulator games a lot of us like, if there were a simulator that took us through the horrors that took place in the dozens of Auschwitz concentration camps, I don’t think Hitler would have that many admirers left. And if you read more about the cruelties caused to children who were put through torturous experiments under instructions from eduard wirths, you would not only detest Hitler, but also question the sanity of anyone who claims to admire Hitler. It is just that, like many other things around us, we have learnt to look only at what we like, and imagine the rest of it isn’t there. So, essentially, if paths to immortality is what you’re looking for, I really don’t think we’d need to look beyond Mahatma Gandhi and Mother Teresa for inspiration. And if change is what we seek, I suppose we just need more Mahatmas and Mother Teresas. Nobody panics when things go “according to plan.” Even if the plan is horrifying! Look at what’s happened in India over the past two decades. We’ve had bomb blasts ripping through cities, over and over again. The news channels have ‘field days’. Give it a few days, and everyone has put the incident into some low priority folder in their heads, and gone about with their routine like it never happened. Now while resilience is a good thing, everyone’s missing the bigger point. Why can’t the security forces, the police, the intelligence agencies, and even the common man become more responsible. 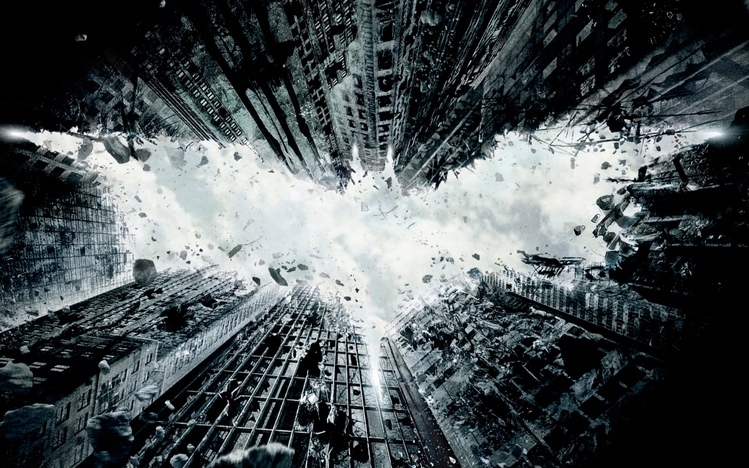 The Dark Knight is by far the most outstanding Batman movie ever, but what’s even more spectacular, is the Joker. The Joker, not only inspired horror, but what he said could run shivers down your spine. What I liked most about the Joker was the fact that most of what he said, like it or not, is absolutely true in the world today. Hmmm? You know… You know what I’ve noticed? Nobody panics when things go “according to plan.” Even if the plan is horrifying! If, tomorrow, I tell the press that, like, a gang banger will get shot, or a truckload of soldiers will be blown up, nobody panics, because it’s all “part of the plan.” But when I say that one little old mayor will die, well then everyone loses their minds! Introduce a little anarchy. Upset the established order, and everything becomes chaos. Look at what’s happened in India over the past two decades. We’ve had bomb blasts ripping through cities, over and over again. People are horrified, shaken, paranoid even. The news channels have ‘field days’. Give it a few days, and everyone has put the incident into some low priority folder in their heads, and gone about with their routine like it never happened. Now while resilience is a good thing, everyone’s missing the bigger point. Can’t the security forces, the police, the intelligence agencies, and even the common man become more responsible. Why aren’t we, as Viper in Top Gun puts it, ‘compelled to evaluate what’s happened, so that he can apply what he’s learnt’? And why do we always go back to being our usual irresponsible selves? The another blast. And then another. So many innocent people who just didn’t deserve to die, lost their lives in the most gruesome of ways. And still, the intelligence agencies, the security forces and the police expected that if the bad guys are gonna ever attack again, they might do it the same way, so lets keep a watch out for bombs. How can you just assume everything. The terrorists have been successful so far because of our ignorance. We checked random taxis, buses and trains for explosives or suspicious looking objects, but left such a damn big coastline unguarded. And, once again, on Nov. 28, 2008, Mumbai (India) was hit in a manner least expected. And for what felt like a lifetime. Like the Joker said, the bad guys here too just introduced a little anarchy, a lot in fact. And that upset the established order. Nobody saw terror come in that form. And then, everything was chaos. And we, with all the security, and all the intelligence, were sitting ducks. If not as back as 1993, at least by 2003, or for that matter 2006 all the way to the Mumbai terrorist attack, couldn’t the security and intelligence agencies have sat and thought like the terrorists, and prepared themselves accordingly. There’s this Bollywood movie called Border, which is one of my all-time favourites. It is based on the 1971 war fought between India and Pakistan, where Pakistan decided to forcefully enter India and capture whatever area it could. Now, whatever I’ve mentioned say here is based on what I’ve read, and parts from the film. But well, here’s what happened. Expecting a Pakistani attack by Pakistan, a small regiment of the Indian army at Rajasthan was given a choice. Of holding the Longewala post in Rajasthan till reinforcements arrived, or to flee the post. Another strategic post, Sadhewala, had a much larger Indian battalion posted there. The Pakistanis had planned to attack the Longewala post with a much larger tank battalion. The Major heading the small regiment questions his commanding officer before leaving for the post. He asks ‘how can he assume that just because the Pakistani’s attacked the Sadhewala post in the previous war, that they would do the same this time’? Or ‘whether he thinks the enemy is expected to ask them where to attack’. The 1971 war makes for one of the most amazing war stories, and one that fills me with pride for my country. And rightly so. This war is significant in the history of wars. To date, remains one of the few wars where a highly outnumbered army emerged victorious. Let’s put that in perspective. 120-130 Indian army soldiers guarding an outpost, were attacked by a 2800+ Pakistani tank regiment. At night. Indian fighter planes at the time were not equipped for night flight. They therefore had to wait till dawn to rescue the army regiment. This small Indian army regiment inflicted heavy casualties on the 2800+ enemy soldiers and tanks mostly due to a favourable terrain, accompanied by the soldiers, who courageously held off the enemies till morning, when the air force came and wrapped things up in our favour. But to think about it; while we sure won that war, we sure beat the crazy odds, and we did what under most circumstances, given the odds, would’ve been nearly impossible otherwise, but; did it have to be that way. Could we have perhaps had both locations reasonably well guarded. Or if troops could’ve been mobilized to either location at the earliest. We would have beat the enemy much faster. Or better still, looking at the strong army, the enemy probably wouldn’t have attacked in the first place. Simply put, that means, if we plan well, if we anticipate things, if we do our homework in a proper manner, it would save us a hell of a lot of damage when things go bad. In fact, in matters of national security, I feel, if we do our homework, if we are more prepared on a continuous basis, there wouldn’t even be situations like that in Mumbai, or for that matter, all the attacks in the past few years across the country, or even in other countries abroad. Is human life so cheap, that people just take national security so lightly. And if that was not enough, we made a joke of ourselves at the hands of Pakistan. When we kept providing them information linking the terrorists to their country. And they repeatedly deny it, making a joke of the entire thing. Imagine the families of all those who lost someone to the attacks, or to the blasts. This would’ve just made them feel like a foreigner in their own country. Now sure like any other guy, I’m crazy about first-person shooter video/ pc games; and absolutely crazy about recon games. And like most of us chaps, I’d love some action, etc. But it’s a totally different thing watching your fellow Indians bleed for absolutely no fault of theirs. And while we are inherently a peace-loving country, over the years, why have we become so laid-back and meek? While I don’t suggest an Israel-style retaliation to attacks, though, believe me, Israeli’s absolutely rock at it. And while they sure do have a lot of crazy attacks happening there, at least their average citizen knows that their country doesn’t take things lying down. We on the other hand, on that particular occasion after the Mumbai attack, made it appear as if we were at the mercy of the Pakistani verdict, which was absolutely ridiculous. So why not stand together, and do our part in this fight against terrorism; to bring in that new dawn. Author Shrutin N ShettyPosted on June 6, 2010 March 10, 2018 Categories Life or something like itTags attacks, India, peace, resilience, security, The Battle of Longewala, The Dark Knight1 Comment on Why…Not…Serious.? ?